1) The rationale for this attack is the allegation of use of chemical weapons by President Assad’s government. While it is certainly possible, and perhaps probable, that the Syrian military has used illegal chemical weapons, there has been no evidence presented proving this the case. In fact, there is a plausible alternative explanation. This horrible incident, therefore, cannot be simply assumed to be the work of the Syrian military and it is incumbent upon those seeking to address this crime to seek out evidence first. Certainly this would be required prior to taking lethal military action. 2) Even if one assumes, without evidence, that this crime was the work of Syrian government forces, that does not legitimize a unilateral U.S. attack on a Syrian airbase. First of all, it is illegal, under international law, to launch a military attack on a sovereign state except in an act of self-defense or when authorized by the United Nations Security Council. Neither criterion has been met, and, thus, the action ordered by President Trump is a clear violation of international law. Additionally, as Congress has not declared war or authorized this military action, and the administration has not even asked for Congressional authorization, the attack Trump ordered is an unconstitutional use of military force. 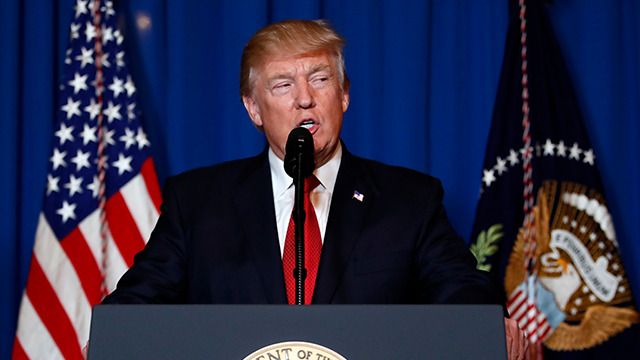 By attacking Syrian forces for the first time in the more than six-year old civil war, Donald Trump has initiated war on another nation without either a declaration of war or a Congressional resolution authorizing said use of force. 3) Making war on Syria is fraught with high-stakes risks. The most obvious is the possibility of military confrontation with the Russians, who are allied with the Syrian government and have military forces on the ground in, and in the air over, Syria. In a worst case scenario, this could even lead to the use of nuclear weapons. It is being reported, in the wake of the U.S. attack, that Russia is suspending a deconfliction agreement that was designed to avoid accidental military confrontations between the two nuclear-armed superpowers. They also reportedly are beefing up air defenses in Syria, which increases the chances of U.S. aircraft being shot down. This is just one of many scenarios that could lead to a broader conflict. The U.S. also has troops operating on the ground in Syria as part of a military campaign against the so-called Islamic State. These troops are now in harm’s way not only from ISIS forces but potentially from Syrian military or government-allied paramilitary forces. Should such actions occur, or even be alleged, it could lead to a wider, more deadly conflict. It has also been reported that Syria has threatened that, if U.S. attacks continue, they will launch SCUD missiles against Israel. While hopefully this will not happen, a regional war in the Middle East is the last thing the world needs right now. Further, U.S. aggression against the Syrian military may be responded to by Syria’s regional allies, including Iran and Hezbollah. The American attack also reinforces the perception of our country as both a bully prone to attacking smaller and weaker nations, and an anti-Muslim power; one that denies Syrian war refugees any shelter, and even attempts to prohibit any Syrians (and people from five other predominantly Muslim nations) from entering the country, while dropping bombs and killing Syrians. Another likely result, therefore, is increased recruitment by anti-western groups and more incidents of terrorism around the world, including, potentially, here in the United States. 4) The U.S. military attack is a clear setback to diplomatic efforts to resolve the conflict. While opposition groups have fought for more than six years to militarily unseat President Assad, they have been unsuccessful. With little to no chance of achieving a military victory, it was hoped that the opposition groups would come to the table and negotiate a settlement with the government. 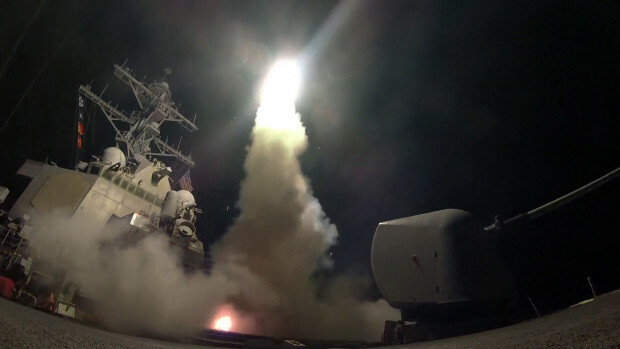 Trump’s attack on Assad’s military, however, is likely to only increase the intransigence of the opposition groups, reigniting hopes of a military triumph with U.S. assistance. This is likely to prolong the conflict, which has already cost hundreds of thousands of Syrian lives and made refugees of many millions. In conclusion, rather than launching 59 cruise missiles, our government should have taken steps to see that a thorough and impartial investigation of the apparent chemical incident was accomplished. This, if it did lead to the conclusion that Assad’s military was the perpetrator, would allow for action to proceed via the International Criminal Court, charging those responsible with a war crime. It is essential to recognize, however, that, at least at the moment, evidence regarding even the nature of the incident, let alone culpability, has not been obtained, or at least made public. Further, President Trump’s illegal use of military force is likely to lead to more, not less, death and destruction; to prolong an already devastating conflict and to increase the risk of a significantly expanded conflict. And, to allow the President to launch such an unauthorized attack, without significant public pushback, threatens the already weak constitutional checks and balances on the unlimited use of military force by the chief executive, undermining our democracy. Cruise missiles being launch from the USS Porter, April 6, 2017.